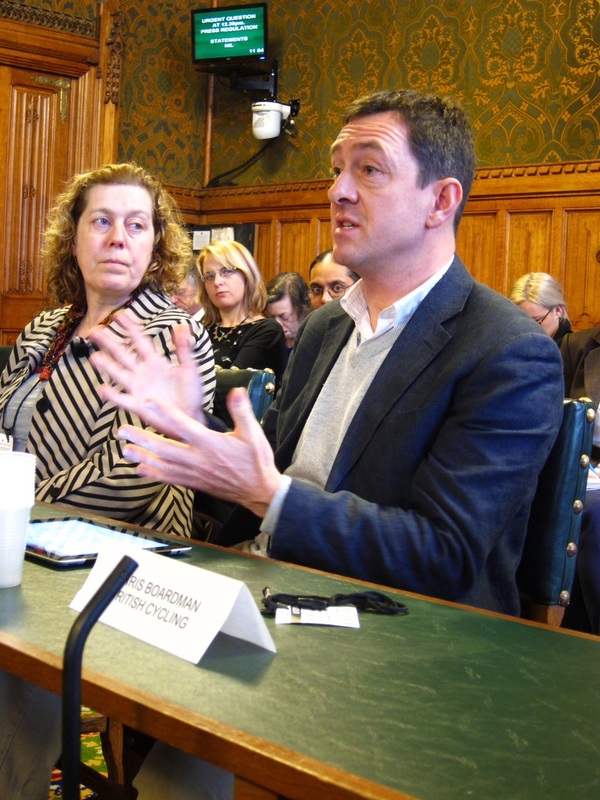 The real legacy from the UK hosting the London 2012 Olympic and Paralympic Games would be Britain becoming a true cycling nation, Olympic champion Chris Boardman told a parliamentary inquiry today. The need for government departments, and indeed all workplaces, to take cycling seriously as a form of transport was covered by the inquiry. Mark Brown of the Cycle to Work Alliance told the inquiry that not all government departments are signed up to the cycle to work scheme. “Showers, changing rooms and places to lock up bikes at work would be an effective measure to get Britain cycling,” he said. “It was encouraging that we had a variety of government department representatives talking about the health benefits of cycling and how we can actively promote them. This is just the sort of joined up approach we need to encourage people to see cycling not only as a viable means of transport but also as a way to getting and staying fit. Representatives from British Cycling, Sustrans, the Department of Health, the Cycle to Work Alliance, the Forestry Commission, the Department for Culture, Media and Sport, and Natural England all gave evidence at today’s inquiry. The next session of the Get Britain Cycling inquiry, exploring what changes need to be made at a local level, will take place on 27 February.